The Ed.D. 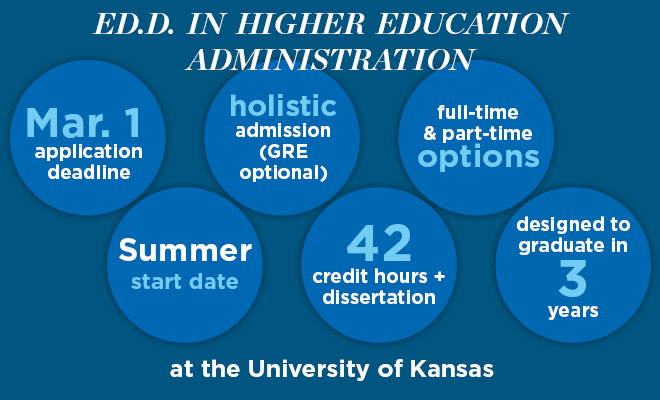 in Higher Education Administration includes coursework, doctoral field experience, a period of continuous study, exams and a final dissertation. The emphasis of the research component of the Ed.D. program in higher education administration is learning to use research skills to improve everyday practice in a college or university setting.